Lt. Gen. Robert Otto, the deputy chief of staff for intelligence, surveillance and reconnaissance, talks to media during the release of the Small Unmanned Aircraft System Flight Plan at the Pentagon Conference Center May 17, 2016, in Washington, D.C. This plan outlines the vision and strategy for continued development, operation and sustainment of SUAS to increase joint force capability from the tactical to the strategic level for the next 20 years. 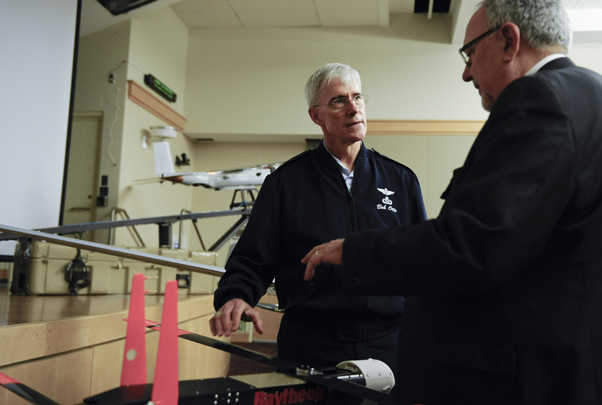 WASHINGTON (AFNS) — Air Force leaders outlined what the next 20 years will look like for remotely piloted aircraft in the Small Unmanned Aircraft Systems Flight Plan published April 30. 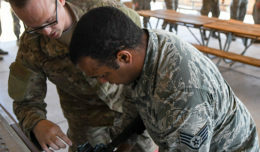 The flight plan presents an aggressive but realistic vision on how the Air Force must take significant steps, not only in system acquisition, but also in adaptive warfighting concepts, to integrate and institutionalize an Airmen-centric family of SUAS as exponential force multipliers across all domains. The SUAS concept supports the Defense Department and Air Force’s Better Buying initiatives: reversing the cost curve by looking at lower-cost alternatives, enabling operational agility against a diverse set of adversaries and operational environments. 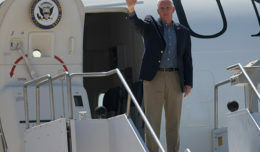 The plan also gives industry partners an outlook on the capabilities the Air Force wants to have in the future, ranging from creation of new RPAs to possibilities of automated systems. Teaming with industry will enable the rapid advancement of equivalent RPA capabilities in a compact, cost benefiting and operationally successful family of SUAS focused on Air Force roles and mission. Additionally, with infinitely new sensors and payloads available across the globe, the incorporation of automation and novel analytical approaches will be required to efficiently and effectively manage the Air Force’s processing, exploitation and dissemination to alleviate potentially overwhelming manpower requirements. Looking beyond the next decade, SUAS and RPA capabilities will have the potential to meet many surveillance and C4ISR roles for the Air Force. 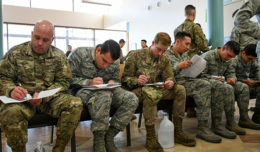 The future of the Air Force’s RPA programs will be continuously evolving to allow the Air Force to be the leader in air, space and cyberspace.